There are cancellations and delays on the Brighton Mainline this morning (February 2), after a person was hit by a train in East Croydon. A Southern spokesperson said: “At approximately 9.30am this morning, a person was struck by a train at East Croydon station (platform 1). 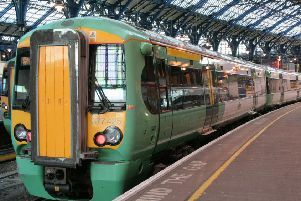 “The train involved was the 8.30am Brighton to Victoria service. Platforms 1 and 2 are currently closed while emergency services deal with the incident.